Thanks so much, Kim – your beautiful components were a joy to work with! Wow…I mean, really, WOW! Each and every piece is beautiful, and so very “you”. I am so impressed with your style and creativity, Joan! That rough cut amethyst crystal is To Die For. What a wonderful set of pieces. 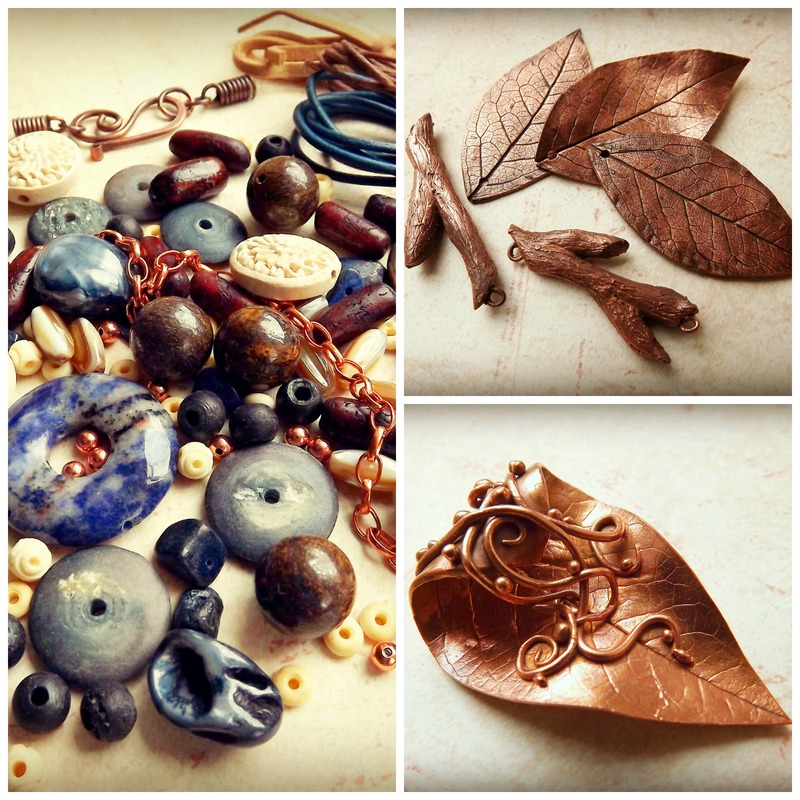 I love what you have done with the copper leaves and branches, and that stunning focal too! You received a beautiful soup and you really did it justice – I love the pieces with the Indian coins in particular. Wow! Seeing your work is always a pleasure. You have made wonderful things with your soup. 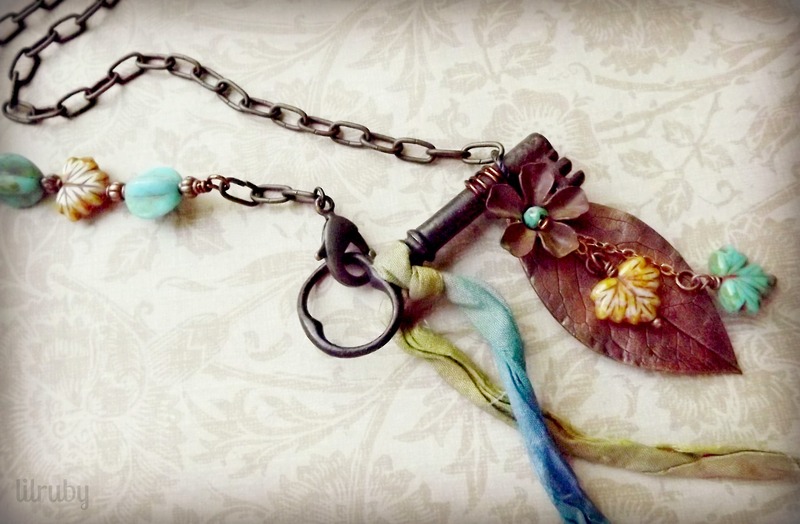 I especially love the necklaces where you used the clasp and the focal. 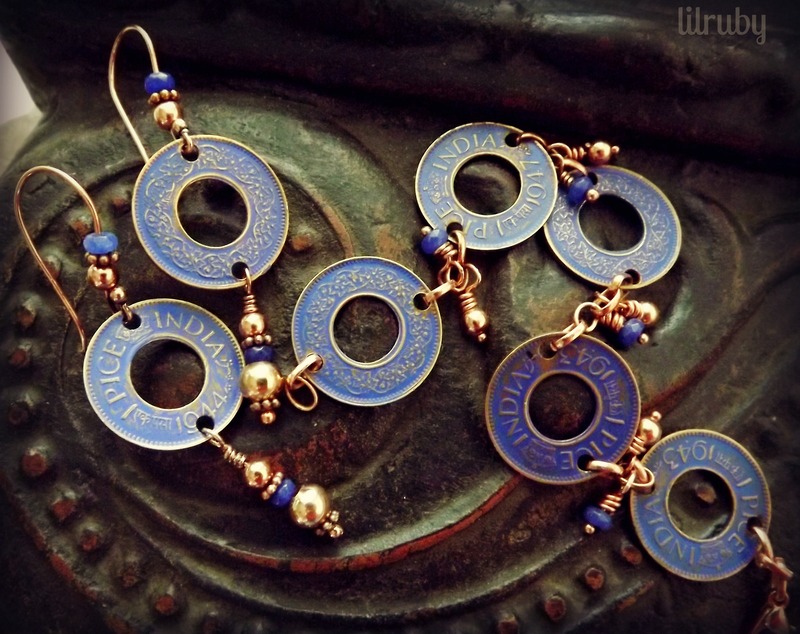 Well, and the earrings and bracelet with the coins….I love them all! Your pieces are exquisite! I think I love the key necklace the most but they are all amazing! Love your reveal. Everything is so ‘lilruby. 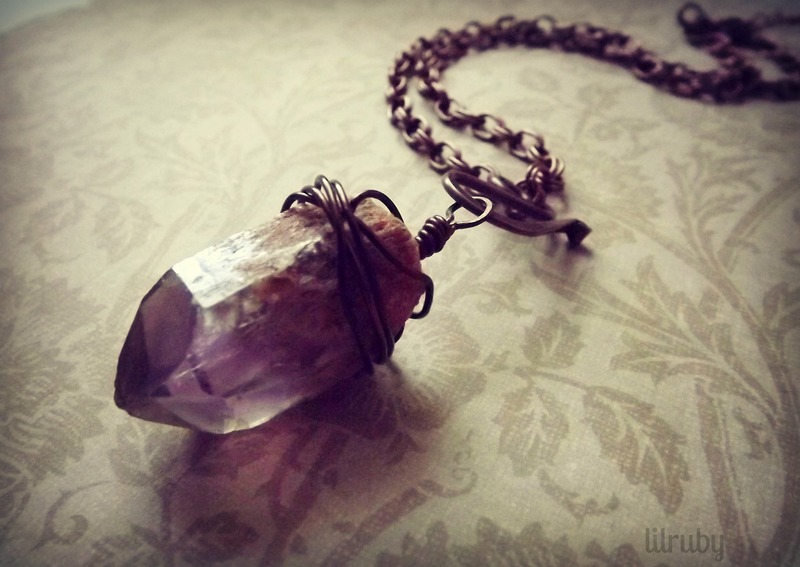 That amethyst crystal is gorgeous and using the S clasp above it was perfect. Great job! Just gorgeous designs. Love your style! Thanks, Marcia – yes, Kim’s great soup made it easy! Wow, I love the leaves. Your creations are beautiful! I admire your creation with this amazing focal!!! I LOVE how you painted the bird — excellent choice. The textures and layers are great. And I am glad you let the pendant speak, but you know, your choice of multiple strands really let it shine. I don’t think some people realize how difficult it is to pick just the right beads for a “simple” chain, you know? Thank you for your enthusiastic and lovely pieces! Thanks so much, Lori! And thanks for all you do to make these wonderful events happen – I look forward to it every year! I love all your pieces! They are AWESOME! 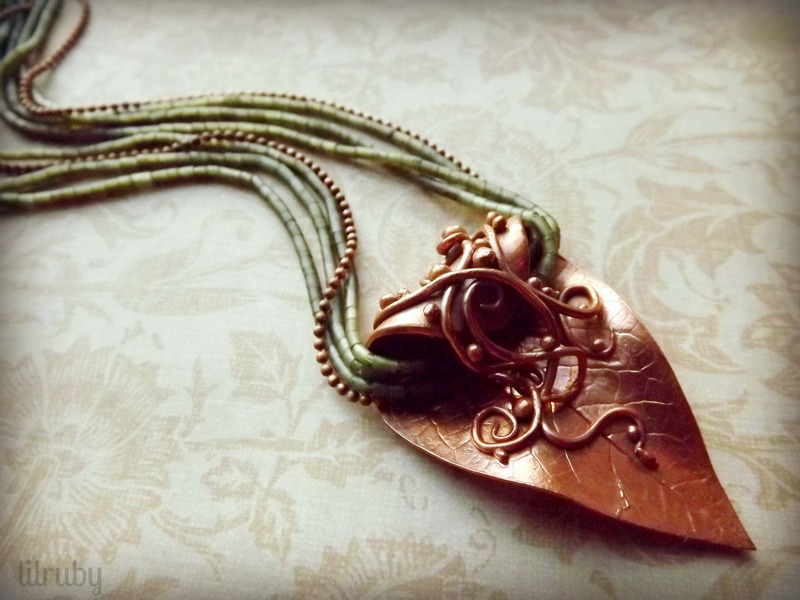 I especially LOVE the copper leaf necklace….would you be willing to sell it? I need to know the size. Please contact me if so twofrogs84 at yahoo dot com. THANKS! Thanks, Bev – I’ll contact you soon! The key and the ribbons. Wow. And the bluebird in the circle on the leaf. And…and…and…you are SO good at this. LOL Ginger – thanks so much! Wow – so many great pieces from one soup! 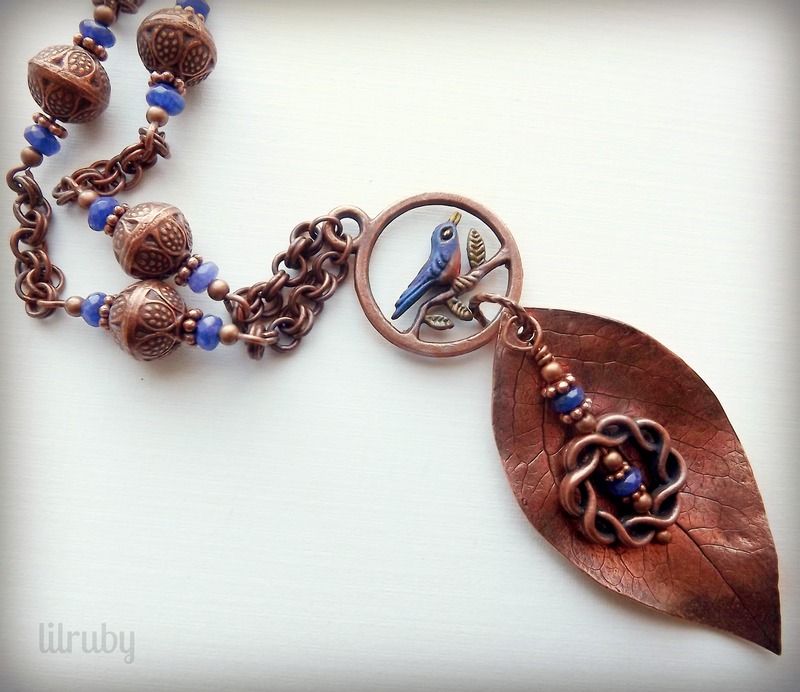 I love the little bird, and the key necklace is awesome – very different! What fun pieces! I can’t pick a fav! I think I have one and then another says Hi! Just Wonderfully done all around. I love that you not only used the beads & components sent to you so wonderfully but that you altered some to fit your designs. 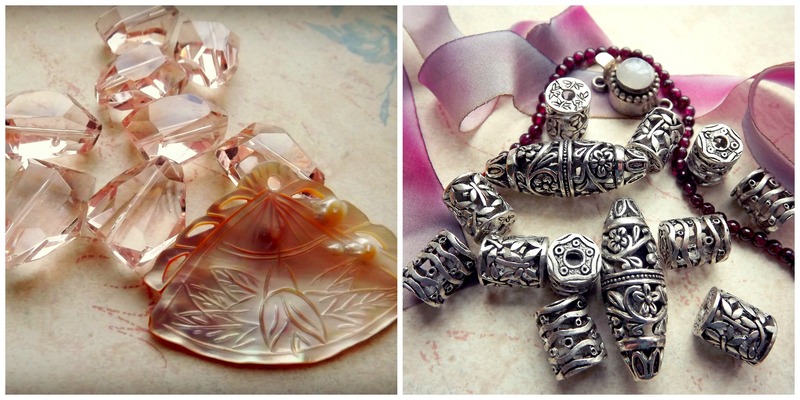 Each piece is gorgeous, unique and seems to tell a story. I love that you used and old key from your grandmother too. Art in any form can be so meaningful with little pieces that have some history added in. 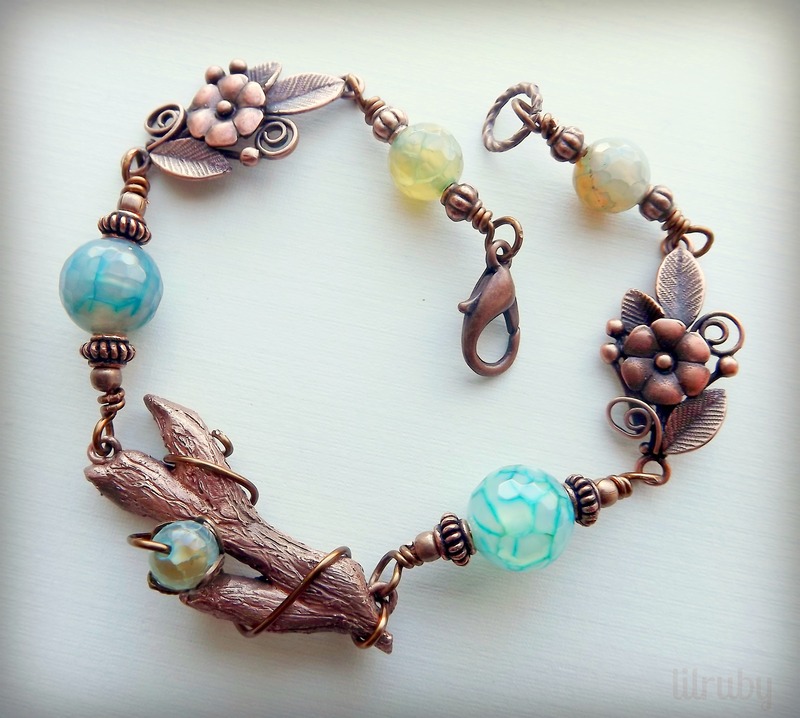 The bracelet with the branch connector captures the colors of a field of wildflowers – stunning! All your pieces are gorgeous, I love them. But my absolut favourite is the amethyst necklace, really great! Everything is simply stunning… I honestly don’t think I can pick a favorite. Beautiful, beautiful work. I love every piece you created! Bracelet with a branche is my favourite! Beautiful soup and beautiful pieces!! Love the first necklace and the bracelet and everything else!!! It’s difficult to chose, but the first necklace should be my favorite! Wonderful designs from a fantastic soup. I had a hard time choosing a fav. I think the piece with the curved leaf focal is the one I like best. I may change my mind back to the one with all the spring green beads. OMG and WOW! They are all so creative, so unique and absolutely gorgeous. 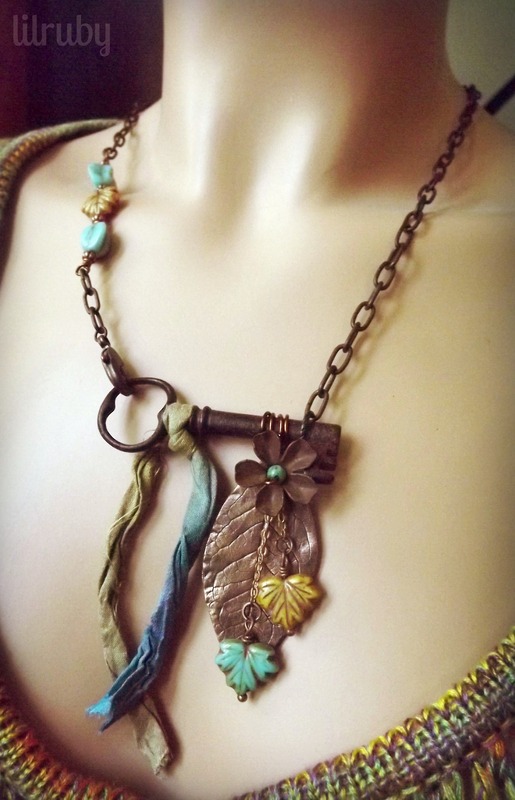 Love the painted blue bird, but love the key and the sar silk necklace more. 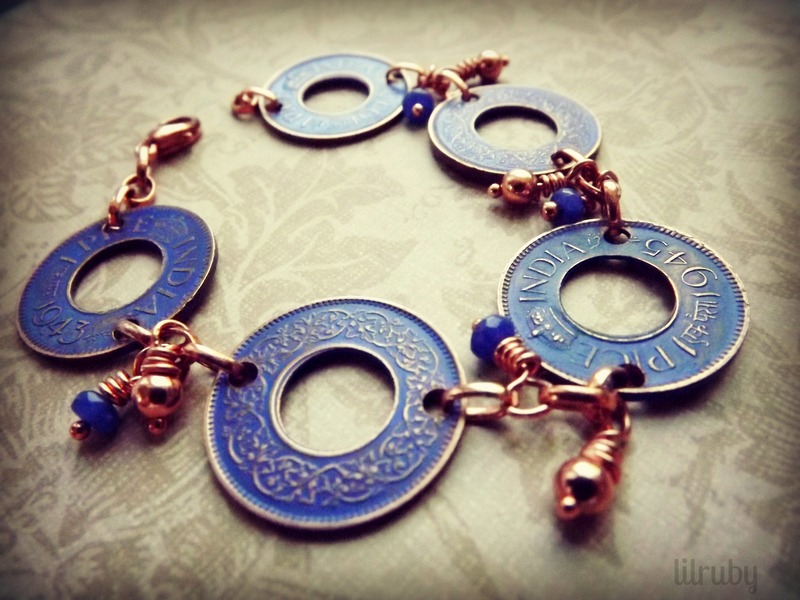 And the Indian coin bracelet, got me drooling…. great work! Your pieces are dreamy, especially the first three are so perfectly constructed in every single detail!!! I might be biased because I love copper, but I absolutely adore these designs. 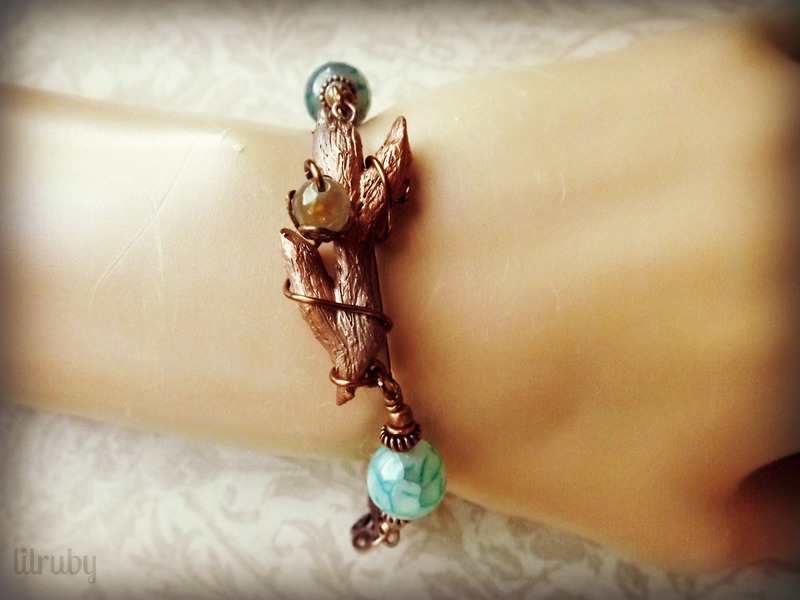 The bracelet with the branch is my favorite. Gorgeous amazing work. Wow, very cool and creative pieces – love them! Each and every one of your pieces is stunning. I’m especially smitten with the key necklace. So many interesting elements in that one. Oh, and you did a wonderful job of keeping your design for that leaf simple and beautiful. Excellent work. Wow! Great soup and amazing designs! The detail of the painted bird with the focal is very cool. I also love the key necklace. It all looks great! These are all so beautiful! 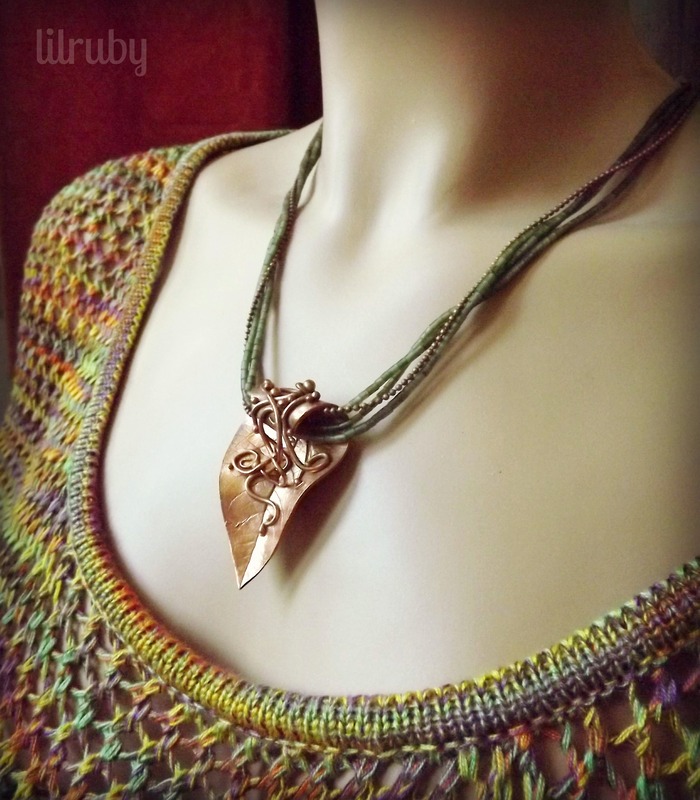 I especially like your design for the last necklace, with the curved leaf focal. Wow you really rocked your soup, exceptionally gorgeous pieces. 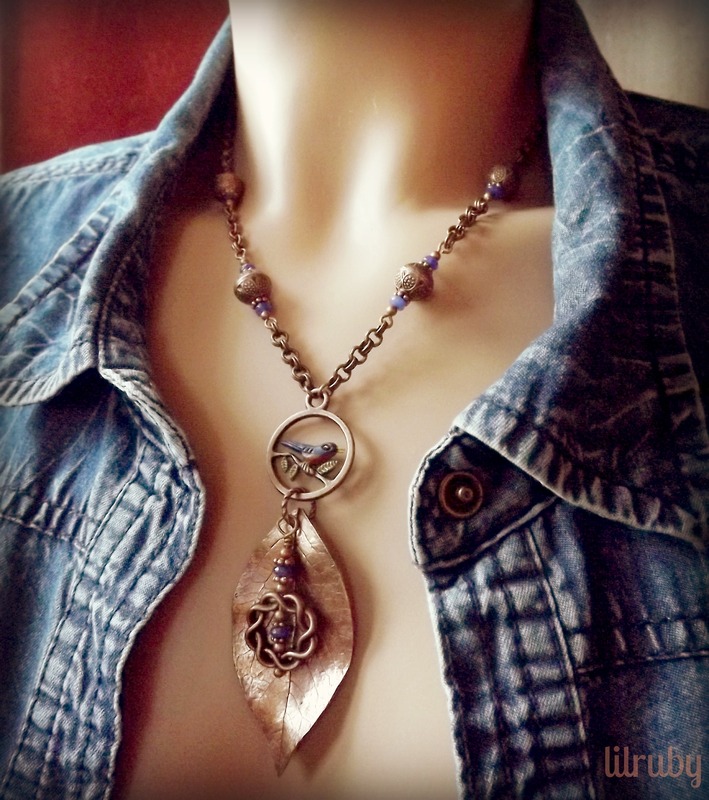 Hi Joan,I like the copper and blue together in your first necklace. Necklace #2 is very creative an d unique with the clock key used as a bail. You are right that carved leaf focal is exquisite and you showcased it perfectly. Your blue bracelet and earrings are pretty. 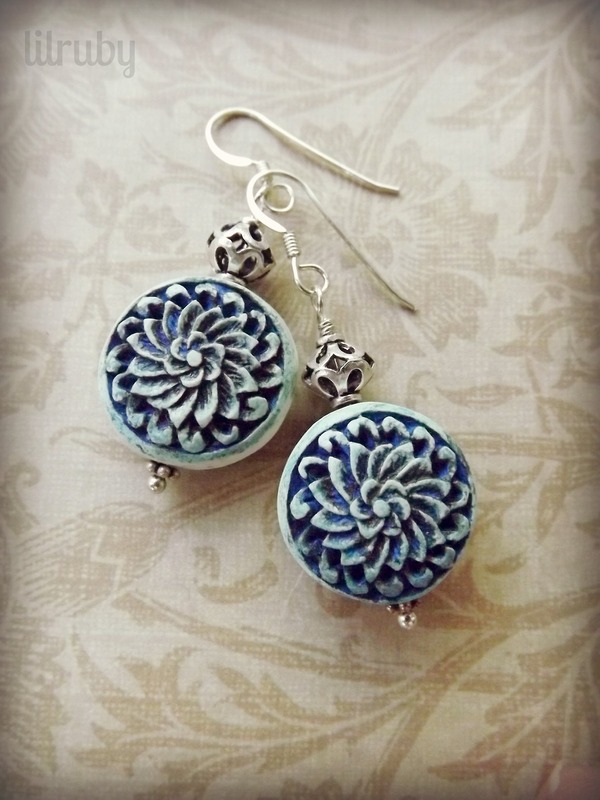 The last pair of earrings is lovely. The paint and wipe method worked great to show the detail in these. You did a wonderful job with your soup. ohhh wow, so many gorgeous pieces! You are very talented. 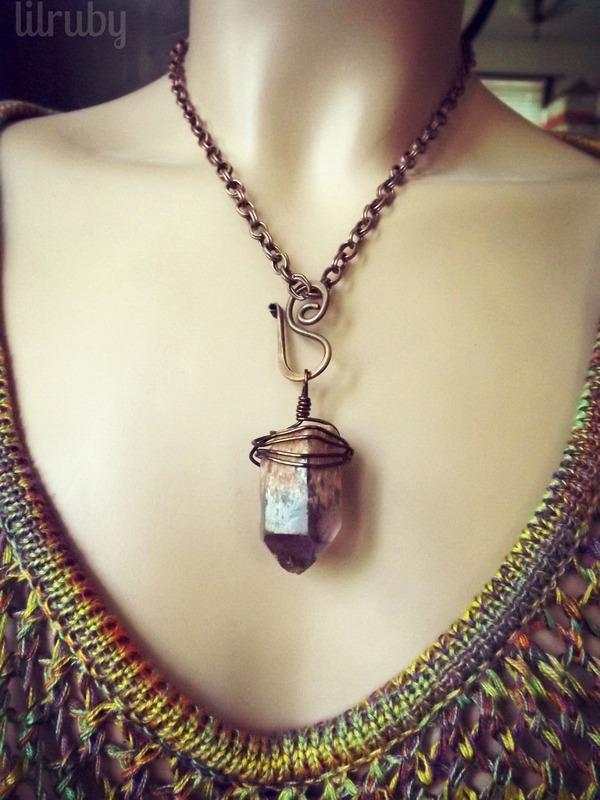 Very beautiful and unique jewelry! The blue coin bracelet is my favorite, but I like them all. And the nice look of your blog in common. No idea what to chose as my favourite (-: it’s all so ♥beautiful♥… and unique, chapeau! 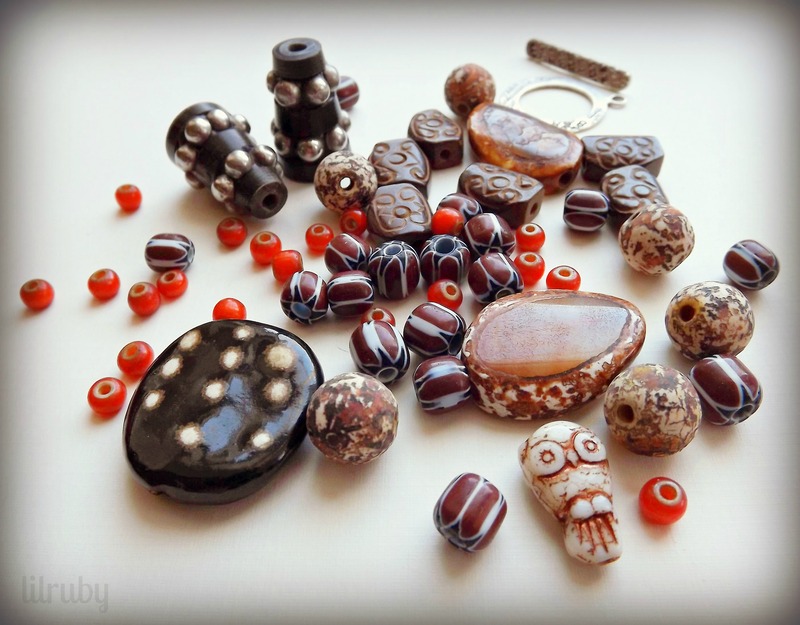 You rocked out your bead soup! And the last piece is just simple divine! Really…all of your designs are just Soup-perb! Absolutely loved every single piece you created! The bracelet is over the top! Great job! Beautiful designs! They are all ones that I would wear and often. If I had to pick a favorite, it would be the first necklace. Oh and the blue bracelet. See what I mean. I can’t pick just one. Yep still hopping….beautiful pieces! Excellent work! I can’t decide which I love the most! Thanks so much to all of you for your kind comments! What a stunning collection! Each and every piece is beautiful and shows massive creativity and imagination – the painted pieces, patina and the clever way to attach the key – I like them all!